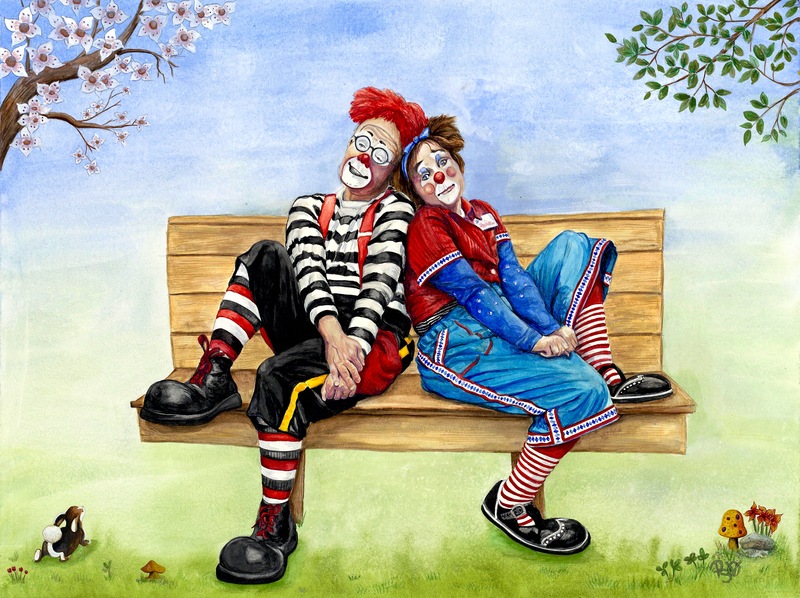 I came across this cute image while looking thru some great photos that Beth Grimes and John Sayre AKA “JP Ballyhoo” had taken one afternoon while clowning around… I fell in love with the image. 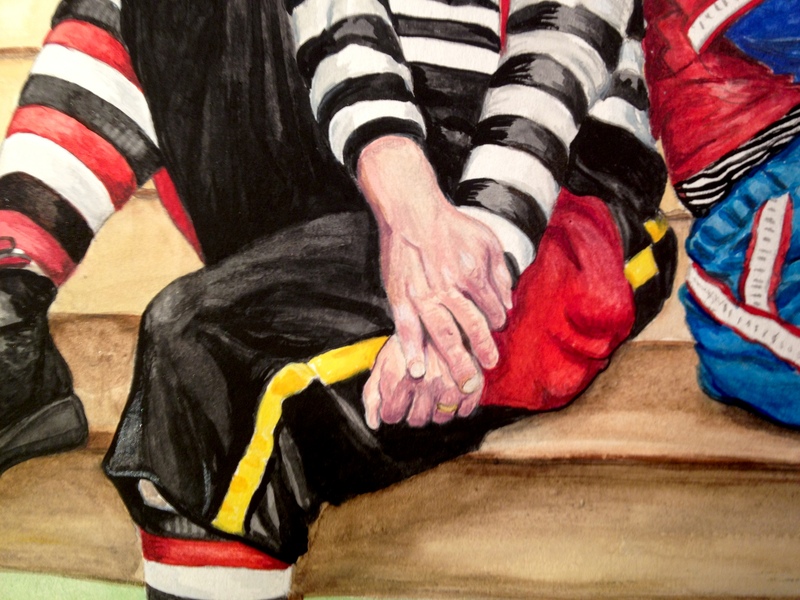 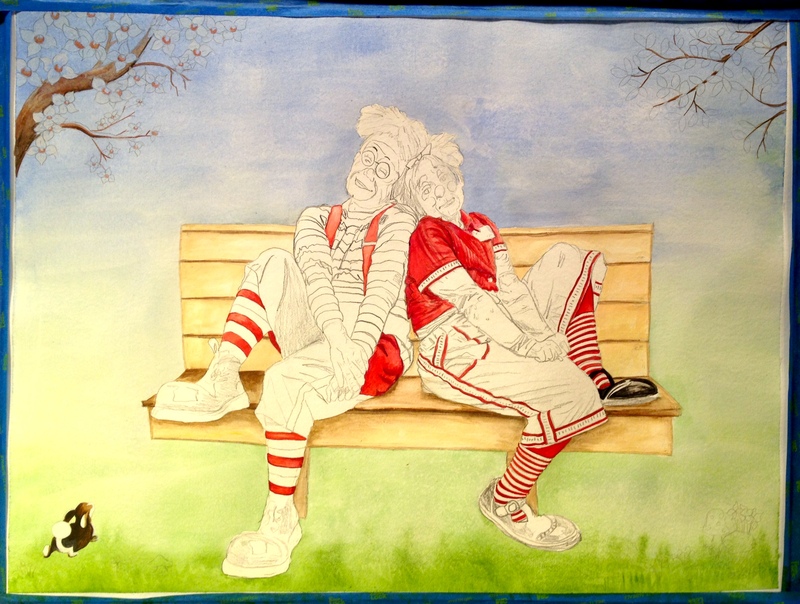 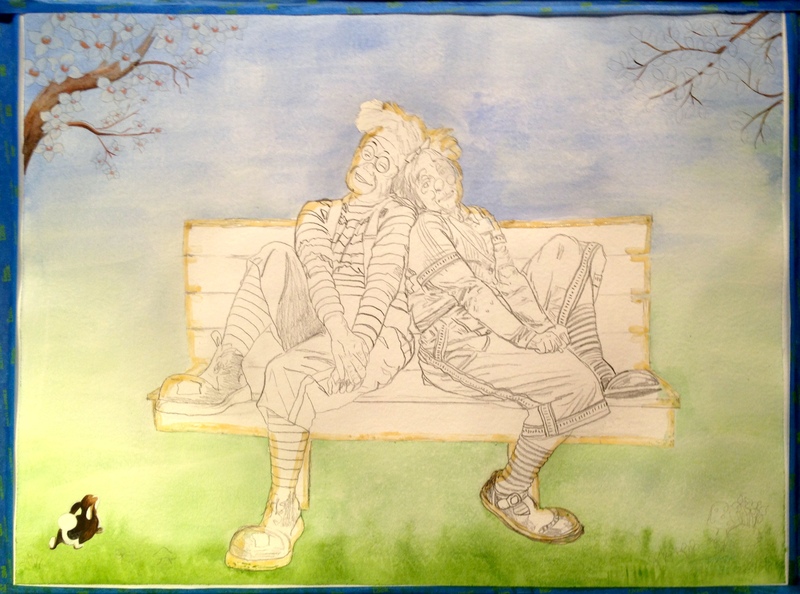 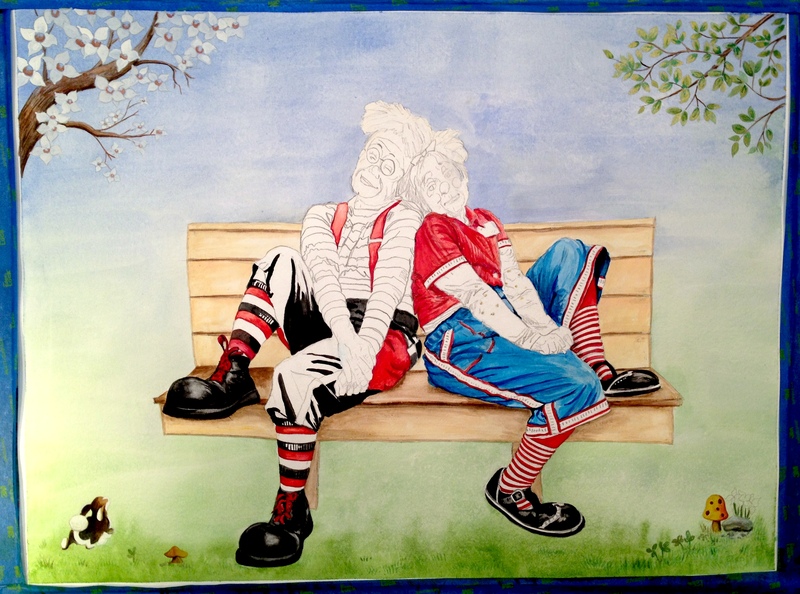 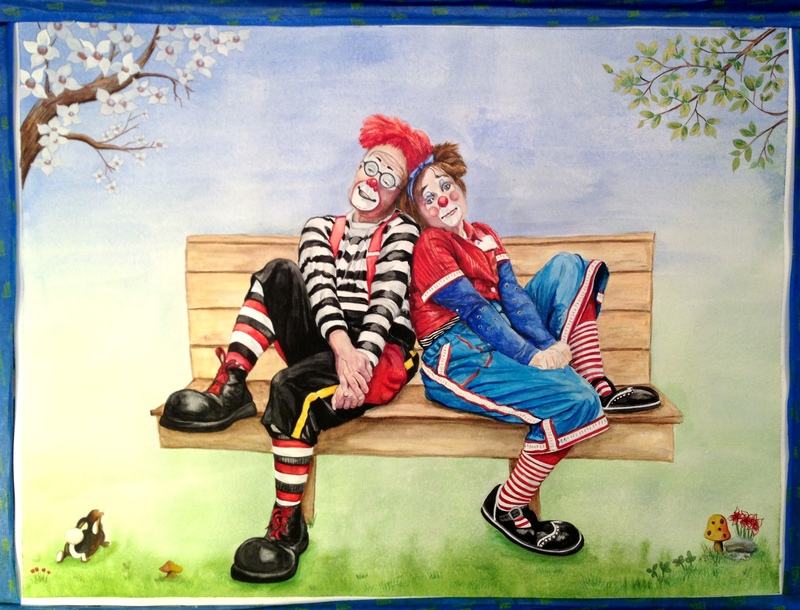 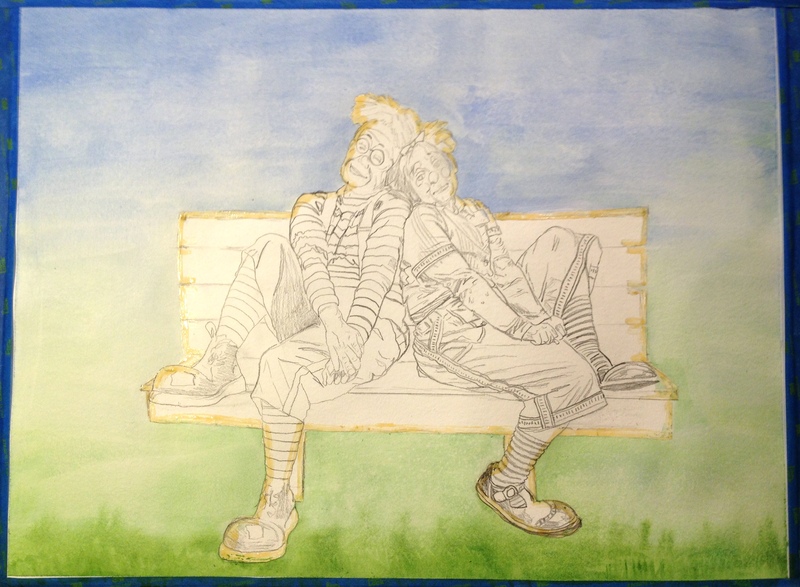 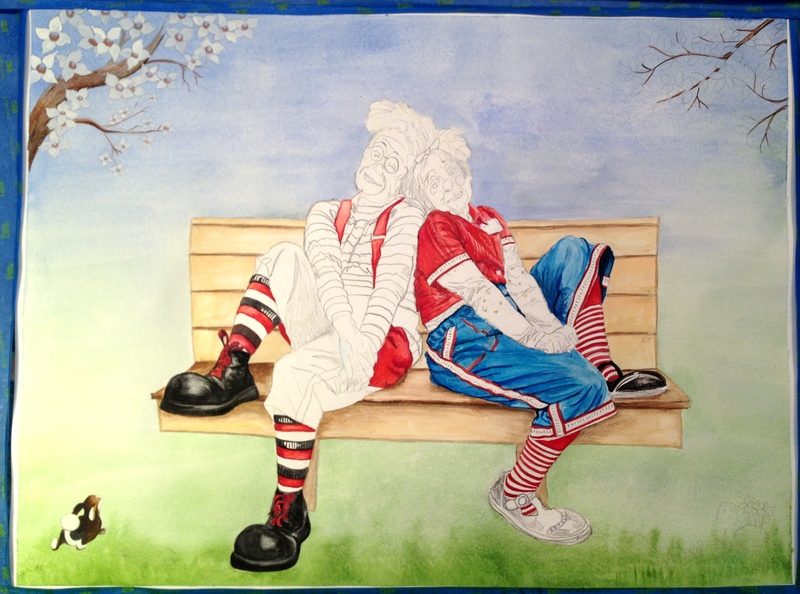 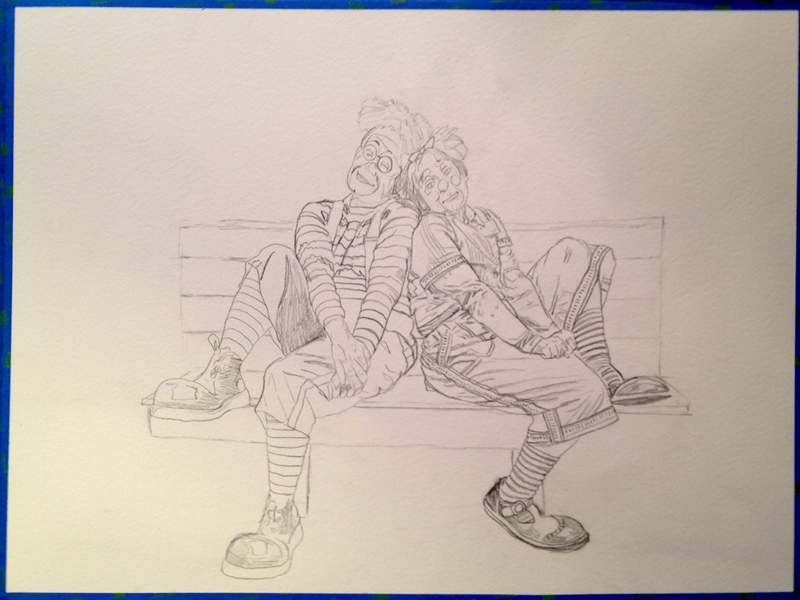 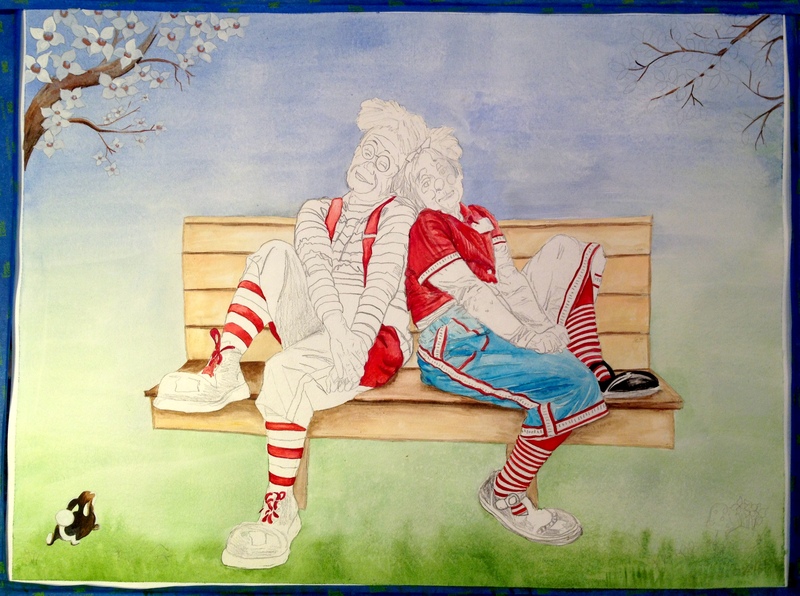 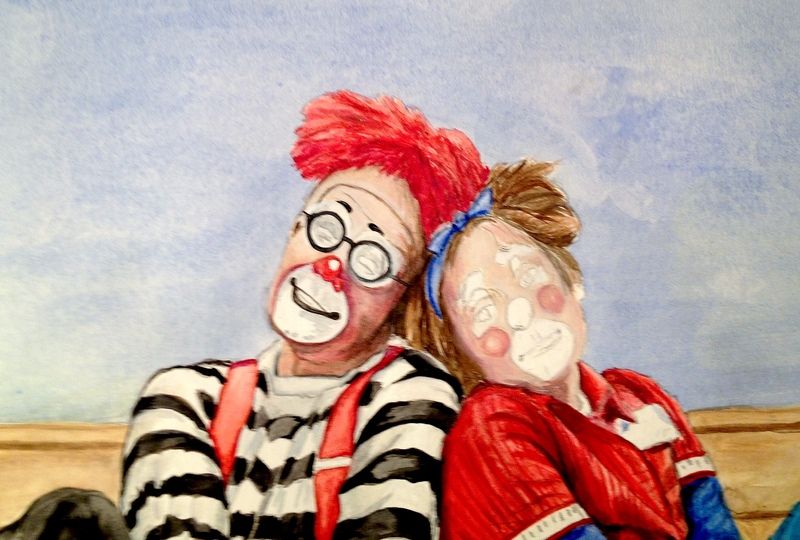 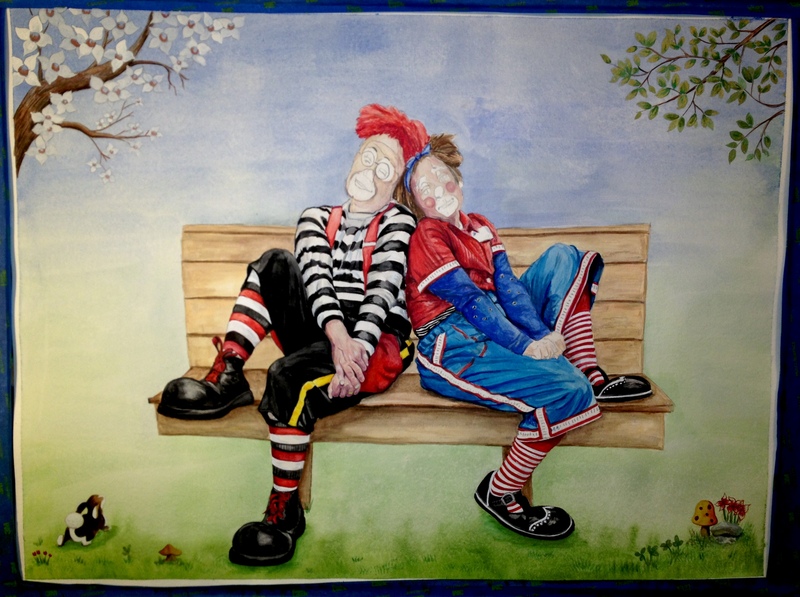 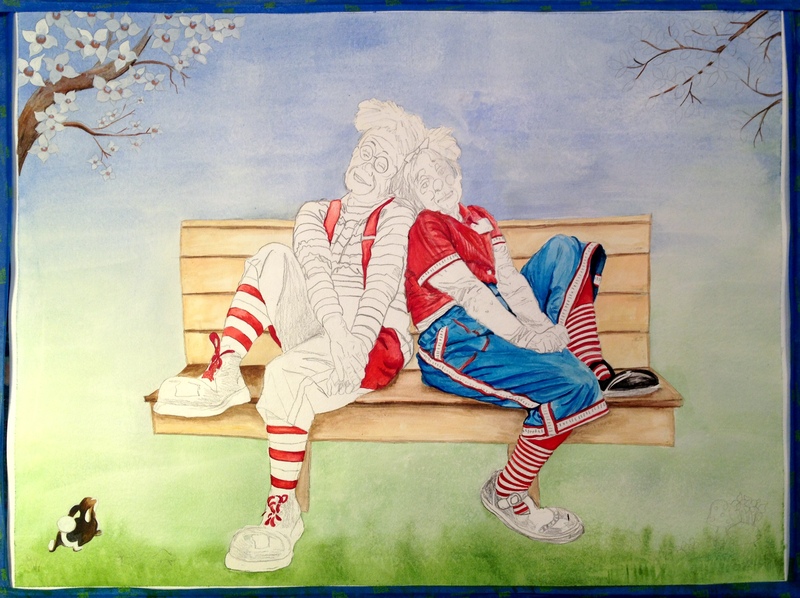 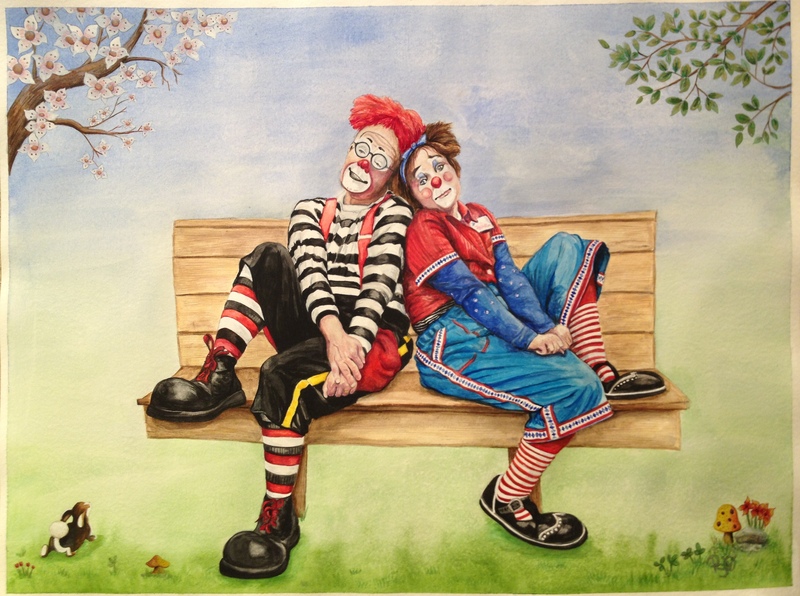 This has 2 clowns and would not fit in my 9 X 12 painting size so this one is actually bigger in order to do it justice. 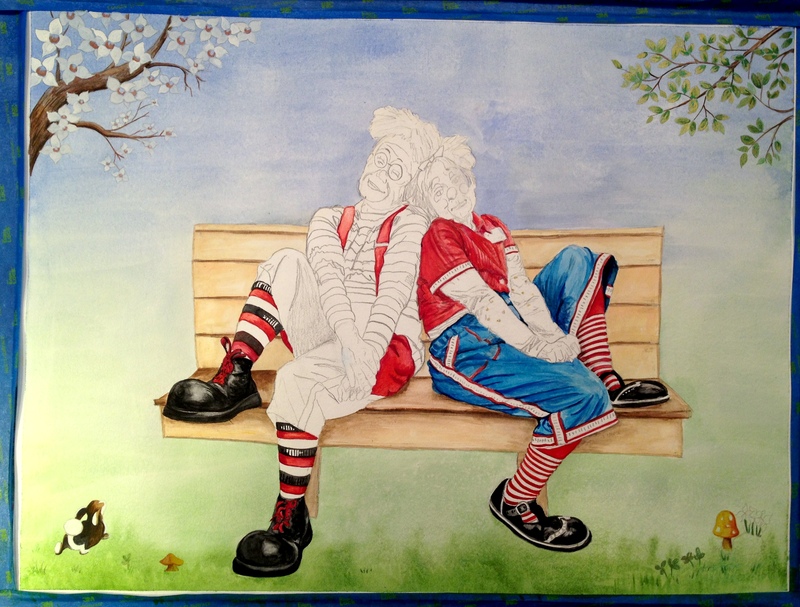 I had a little fun with the setting they are in and tried to mimic a park setting with flowers and critters you might find in a Disney landscape, full of fun and fantasy. 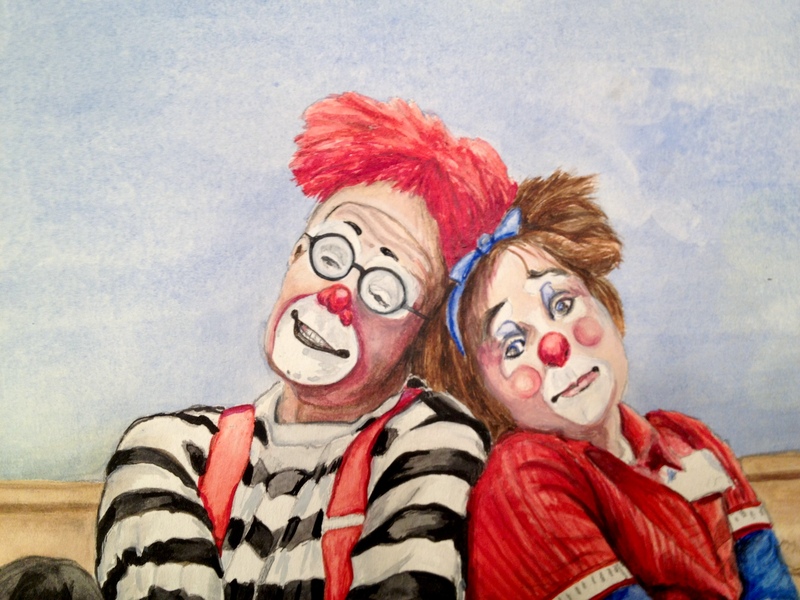 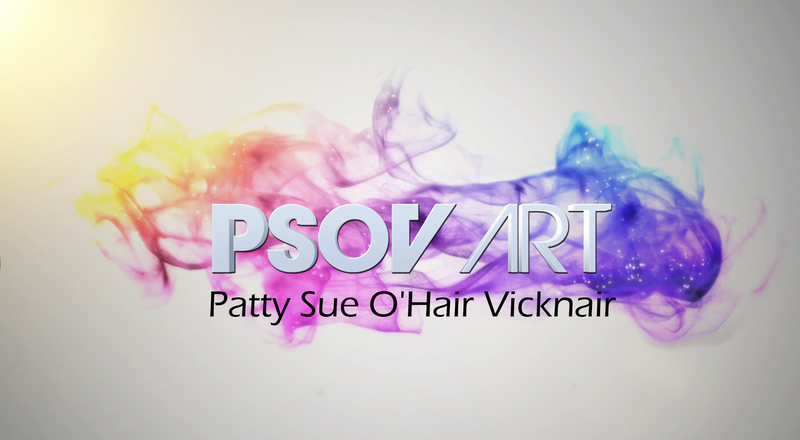 I think it turned out wonderful and fun. 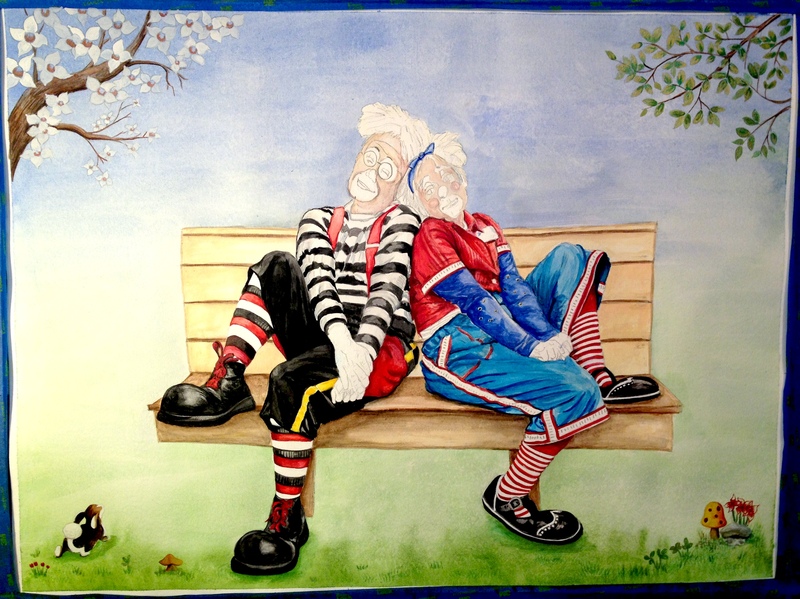 This image is on Canson 140 LB Watercolor paper 18 X 24. 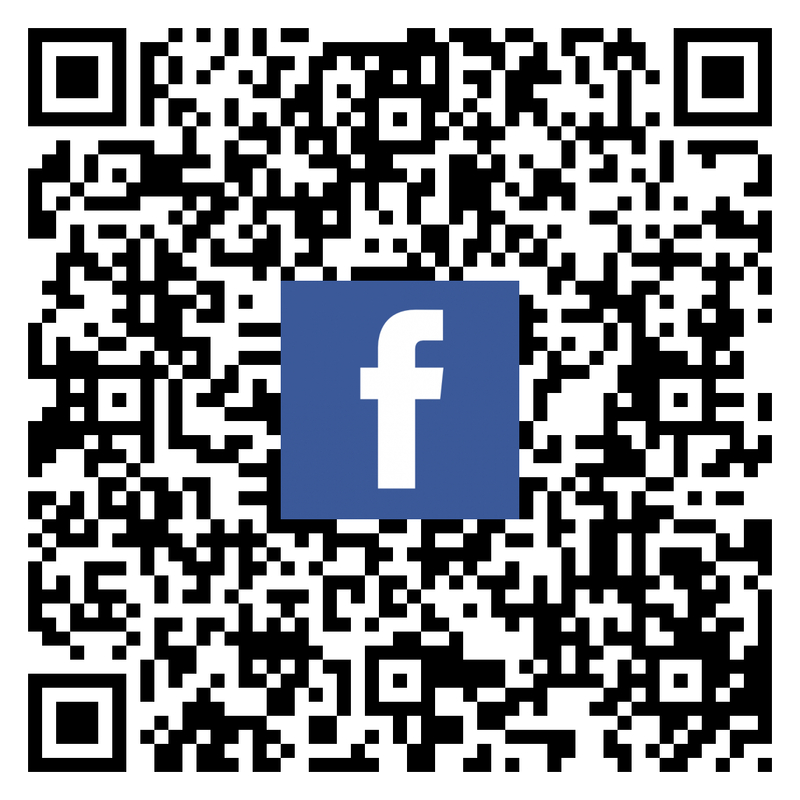 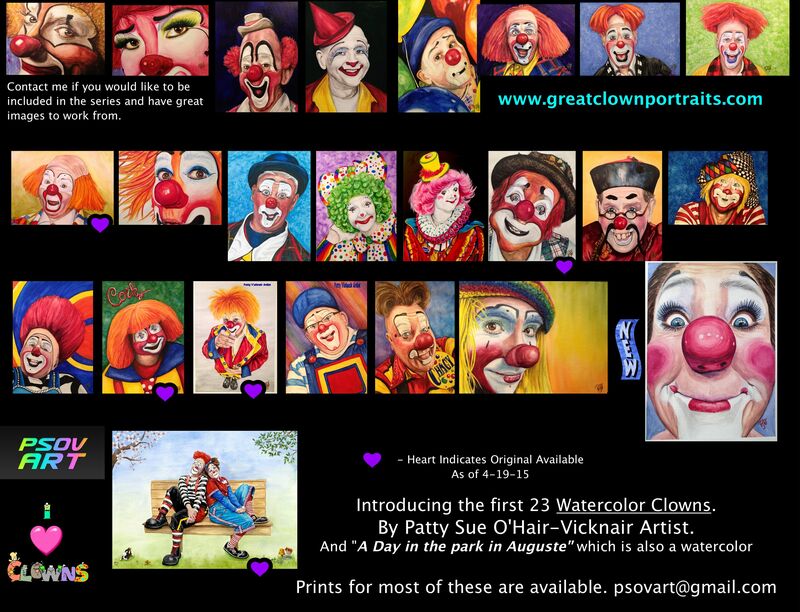 Each image will be mailed with a certificate of authenticity. 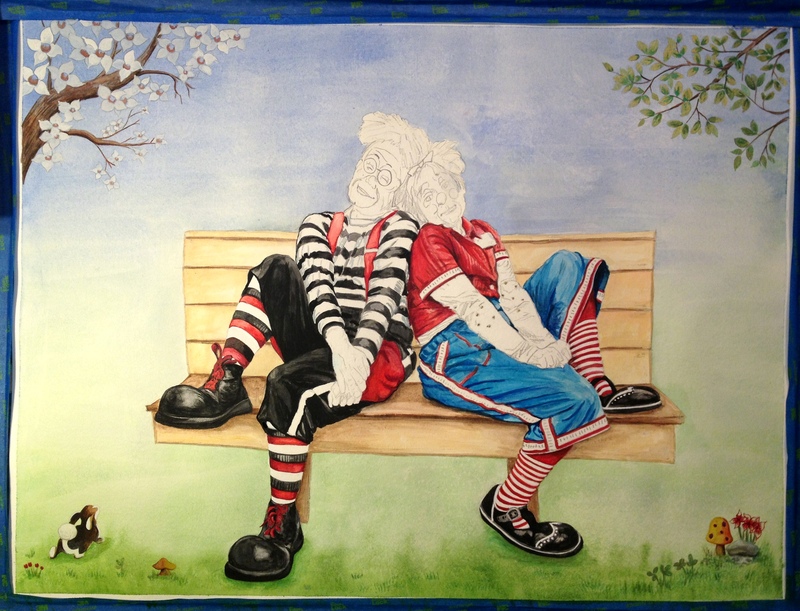 Let me know if your interested . 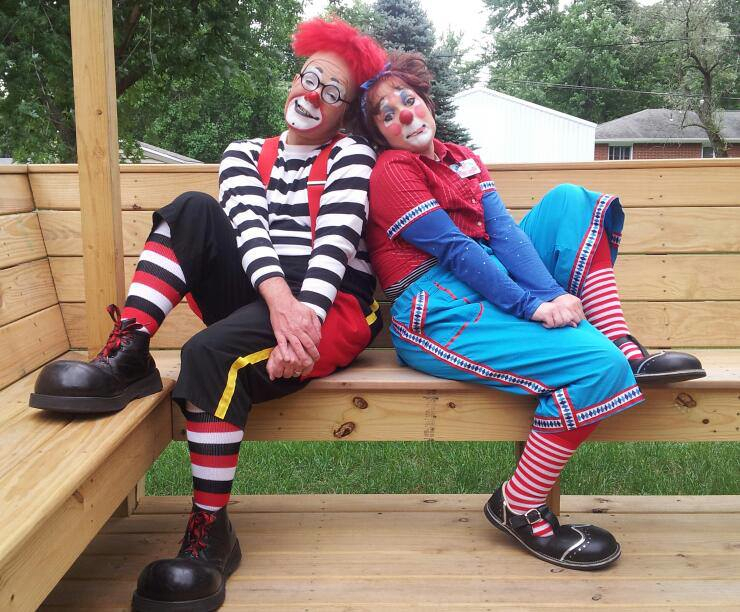 Both Clowns have agreed to be interviewed for this blog so we should have a post on each of them shortly so you can get to know them better. 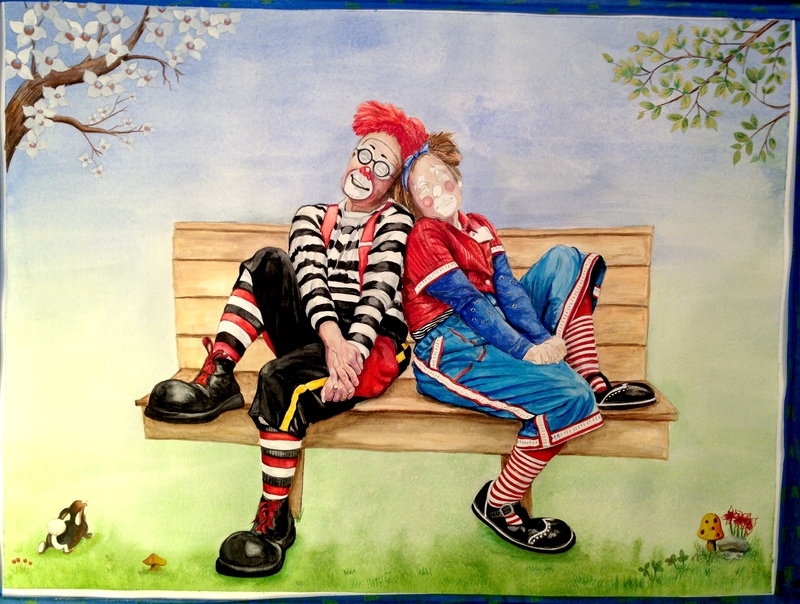 I want to say thank you to both clowns for allowing me the pleasure of painting their clown personas!